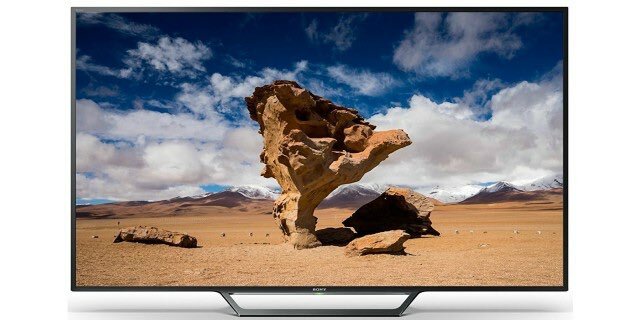 Win a FREE Sony 48-Inch 1080p Smart LED TV! Who wants a *NEW* Smart TV??? Enter now for a chance to win! You could win a FREE Sony 48-Inch 1080p Smart LED TV! Normally $448.00! No purchase necessary. Upgrade your home theater with a brand-new television that won’t cost you a penny. With full 1080p HD resolution, you’ll feel like you are in your favorite TV show or a part of your favorite movie. Watch sports like never before with crystal clarity and crisp colors that jump out of the TV. It comes with a Mini-plug Video Adapter, Remote Control, Batteries, AC Power Adaptor, AC Power, and tabletop stand. Hurry and enter for your chance to win before this offer ends! The winner will be drawn on 8/3. Previous articleK’NEX Transport Chopper Building Set Just $28.97! Next articleIt’s that time again… Win It Wednesday!